"I was inspired by the mission and the strength of faith and hope that I felt each time I was given the opportunity to assist Michele and Maria." 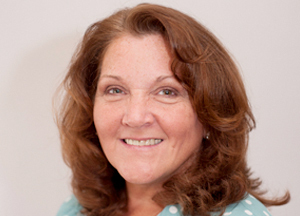 Having joined the Board of Mary’s Place By The Sea in early 2012, Jeanne Reichardt became aware of the organization in her role as its accountant at the firm Donato, Hayes, and Company, CPA’s, LLC. Working alongside Founder Michele Gannon to gain 501c(3) non-profit status from the IRS, she now contributes her financial expertise in helping the organization track their donations and expenses. Honored to have been asked to lend her talents, Ms. Reichardt is greatly looking forward to being a part of Mary’s Place and helping it grow. Her “wish list” includes expanding regionally, qualifying for more grants, and receiving a greater number of large-scale corporate and philanthropic donations. Mother to three young-adult daughters, Jeanne resides in Oakhurst, NJ.